The Japanese market seemed to keep a pretty steady flow of classic Transformers on the shelves, and by 2003 they realized they had not yet produced fully-transforming toys small enough to fit in your nose. 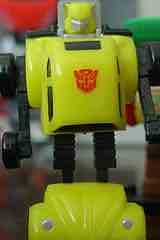 Bumblebee (actually Bumble in Japan) fixes this with a tiny replica of the original minibot. 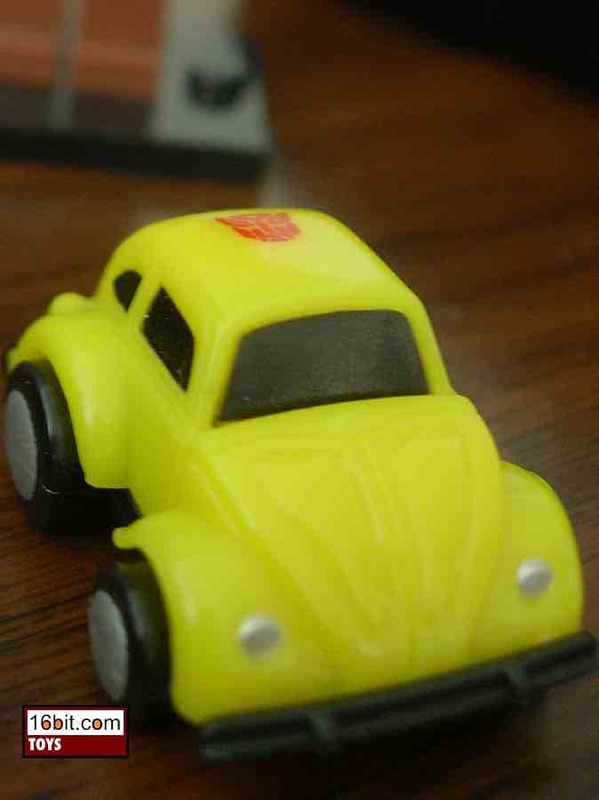 The car mode is just a hair over an inch long, and the robot stands just under 2-inches high. Like I said, these are small. 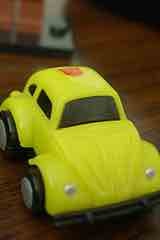 Rather than replicating the character, this toy is a replica of the original toy simplified slightly. His wheels don't roll and some adjustments were made to his design to keep him small-- his arms are positioned differently, and he has one joined foot rather than splitting the hood into two feet. Oh, and it's freaking small. The head is sculpted like the original toy from the 1980s, the Autobot/Cybertron logo is printed on, and it basically exists to blend in with your Micromasters-- this is sub-Legends size, to you collectors who know what that means. There isn't a lot of detail to be found here but this toy (and its entire line) is notable for being blind-boxed and shockingly popular. Some of the figures from this line command a high premium, and while some were apparently considered for US release none ever made it out here. 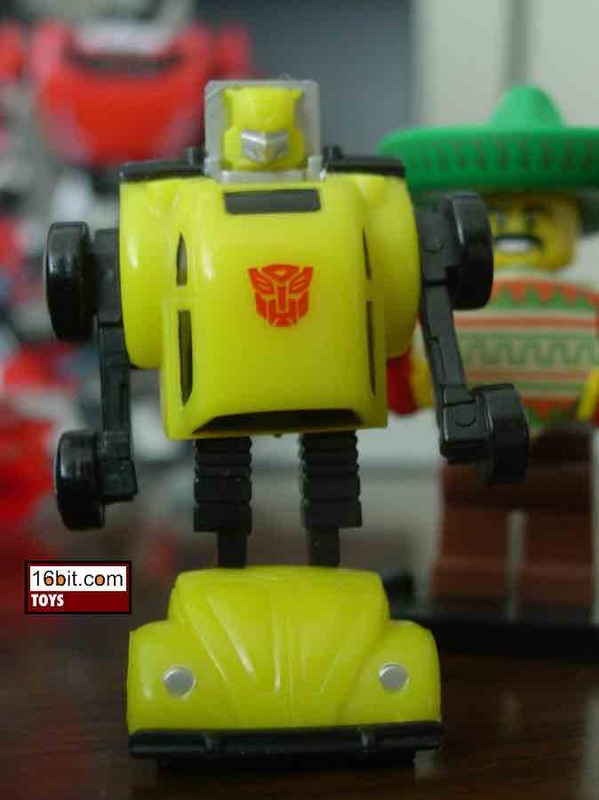 Our little yellow friend feels fragile so don't get one to play with, but if you like smaller Transformers-- Micromasters in particular-- this would go well with them. You should be able to find one of these on the secondary market for about ten bucks.